This is a term many people often come across when they are trying to set up their own website. But as common as it is, a huge number of online users are still confused about what web hosting really is. Perhaps the simplest and most straightforward web hosting definition is this: web hosting is a paid service that enables businesses, organizations, and individuals to post a website or webpage online so it can be viewed by people from all over the world. Web hosting companies provide space for websites on powerful special computers called “servers”. They also offer some useful and free add-ons such as email marketing and malware checking. How online hosting works is quite simple. When online users want to check out your website, they will type your website’s address or URL on their browser. Their computer will then use the internet to connect to the hosting server so your webpages will be delivered automatically to the user's browser. The amount of space your website needs depends on the volume and quality of its content, which includes texts, videos, and photos. So if your website has lots diverse content, you will need more memory space and a much more powerful hosting platform. What are the most popular types of online hosting for websites? With dedicated web hosting services, you will have an entire server all to yourself. You will get direct and full access to it, so you can install any type of software you want. You will also have the ability to freely change configuration settings and tweak the operating system as well as the language interpreters. Another major advantage of this type is that you will have sole control and command over the computing resources, and you don't have to worry about asking permission from another account holder if you want to use more of the space and other resources. This way, you can increase your website’s speed and performance without much hassle. Because of these factors, this type is the best choice for websites that require large amounts of memory space. However, these benefits are not necessarily free. They come with a considerable price., and can be quite costly as you will be the only one using the network. Virtual Private Server or VPS sits right in the middle of dedicated and shared hosting. With this variety, a web host provider gives your company with your own devoted server, but it will be on a virtual machine instead of a physical one. This virtual machine is grouped together with others like it in a network that shares a huge pool of resources. However, it’s important to keep in mind that the resources are distributed in a different way. One of the main distinctions is that there are typically 10-20 accounts sharing the pooled resources. This way, the resources are divided more evenly and you will encounter less problems when managing your websites. You will also get to enjoy more bandwidth for a faster loading website. Another benefit of VPS is that you can conveniently configure and format the network settings to fit your preferences and needs. This comes in handy when you are trying to create custom applications. Last, but certainly not the least, this affordable web hosting service is also very scalable. This means that the resources you’re using can easily be increased and decreased depending on your needs. This makes it ideal for people who are operating software-as-a-service (SaaS) businesses. Cloud web hosting is one of the most widely used hosting platforms these days. But before we got into what it means, let’s first talk about what “the cloud” is. In the context of website building, the term refers to a large network of servers that are grouped together and provide a huge pool of shared resources. Websites and applications can take advantage of these resources. In this context, this hosting type is just like VPS. The main difference is that the former type offers a significantly larger network of computers. This makes it much more secure and scalable. If your website experiences a sudden surge in traffic, you will be able to enjoy more computing resources. Companies that provide this kind of WordPress business web hosting service will also help reorganize how the computers are set up in the system so you can maintain optimum performance. This makes it ideal for websites that grow and develop over a long period of time. Another benefit of this type is that it’s more cost-effective. Generally, you will only be charged for the resources you are using. This way, you can save money and avoid paying for space and applications that you are not currently taking advantage of. This is the most common type of product offered by web hosting sites. It’s the top choice for many individuals because it’s easy to manage and is cost-effective. As the name implies, shared hosting means that you’ll be using the network together with other people or account holders. Each account may have multiple websites and all of the files they use, including text and media content, all kept in the same drive and processed by the same computer CPU. They are also delivered to browsers by the same server. This is ideal for development and test websites. Since it’s very budget-friendly, this can also be the best option for personal websites or blogs. Moreover, small theme websites such as those used for engagement or wedding announcements would also benefit from this type because they don’t require a lot of features or pixel space. What is eco web hosting? Ideally, websites should be available online 24 hours a day, seven days a week. This requires computers to operate non-stop and consume a significant amount of energy, which usually comes from carbon-emitting generators and non-renewable sources. To help reduce our company’s environmental impact and save energy, Crazy Domains is using eco web hosting. Crazy Domains supports business practices that not only help the economy, but also that protect the environment. We operate only equipment that uses renewable energy sources, and are committed to reducing our energy consumption without compromising the quality of the small business web hosting package that we provide to our clients. We also have a safe and eco-friendly equipment disposal plan to ensure that old computers and other necessary hardware are disposed in a way that does not negatively affect the environment. How to choose the best hosting type for you? Determine exactly what it is you need. How much memory space does your website need? Will you be using a lot of images, videos, and text content? How fast do you want your webpages to load? Are you planning to grow your website in the near future? Do you want to manage the website yourself or do you want someone else to do it for you? Do you want to focus on economy and go for something more affordable or are you willing to spend more money? To choose the best web hosting product for your website, you must to ask yourself these questions. It would help to take time to sit down and make a list of your needs and goals. Determine which of the items on your list should be prioritised and keep them in mind when you are selecting packages. Also, make sure you do your research properly. Look at reviews and read up on your preferred variety. If possible call the provider you want and ask some questions from their customer service representatives. This way, you will know exactly what you are getting into before you actually spend your money. Another important factor to keep in mind is your budget. Determine how much money you are willing to spend on this aspect of your small business. Keep in mind that rates for hosting products can vary depending on the type you choose. Additional features such as more pixel space, speed, and increased security will also affect the price. But the good thing is that the best web hosting providers in the world offer packages for a wide range of website budgets. And this is exactly what we do here at Crazy Domains. Our organization is committed to being a provider of top-quality products at affordable prices. We have designed our packages so they fit not only the hosting needs of our clients, but also their current economy or financial standing. Useful add-ons like email marketing and SEO traffic booster for Google and Yahoo also come free with our web hosting packages. We also offer assistance for specific website development platforms such as WordPress. Through these extra features, you can really get the best bang for your buck. After you’ve identified your goals and set your budget, the next thing you need to do is find out the level of management each hosting type offers. Determine how much time you want to spend on managing the website. If you feel this will take too much of your time and energy, you can always get your host to do it for you. Here at Crazy Domains, we offer management assistance with our WordPress web hosting packages. We have an in-house team of highly-skilled and trained experts who are adept at overcoming various challenges, and ensuring websites both run smoothly and are always available online. Thanks to these professionals, can rest assured that your website will always be in good hands. This also frees you up from dealing with extra work, allowing you to focus more time and energy on tasks that directly affect your business bottom line. As mentioned earlier, most hosting packages come with additional features. These include, but are not limited to, backups, malware scanning and cleaning, SEO, email marketing, and SSD databases. It’s important to find out what these add-on or freebies are as they will help make your investment much more worthwhile. Make sure you choose the package that offers the add-ons or freebies will fit your goals. 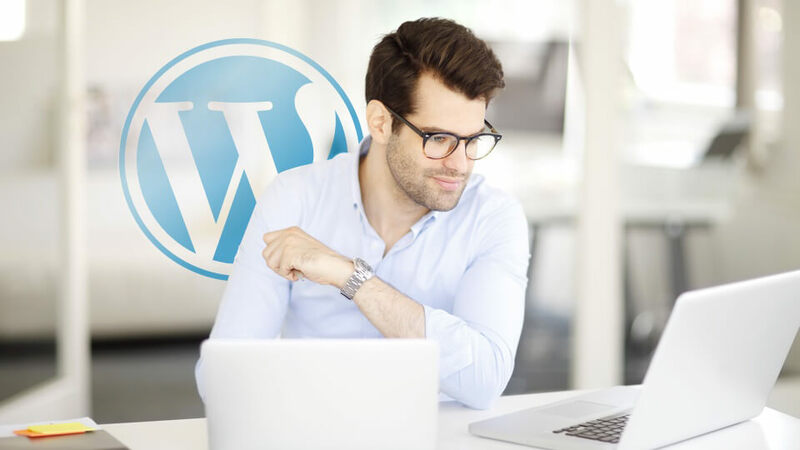 For instance, if you want to use WordPress to create and manage your website, choose a hosting package that offers additional assistance for that specific platform. Here at Crazy Domains, we offer the best web hosting for WordPress sites for you to take advantage of.